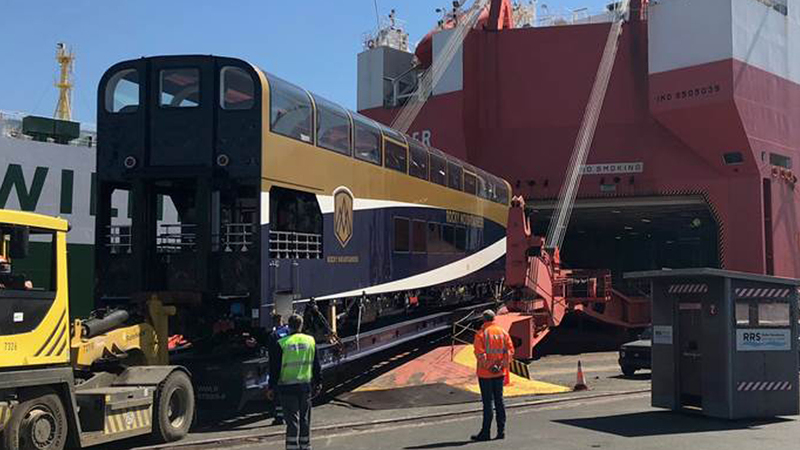 Stadler Pankow GmbH’s second double-deck dome car for Canada’s Rocky Mountaineer luxury tourist train is on its way to Kamloops, B.C., crossing the Atlantic Ocean and making its way to the West Coast through the Panama Canal and the Pacific Ocean. 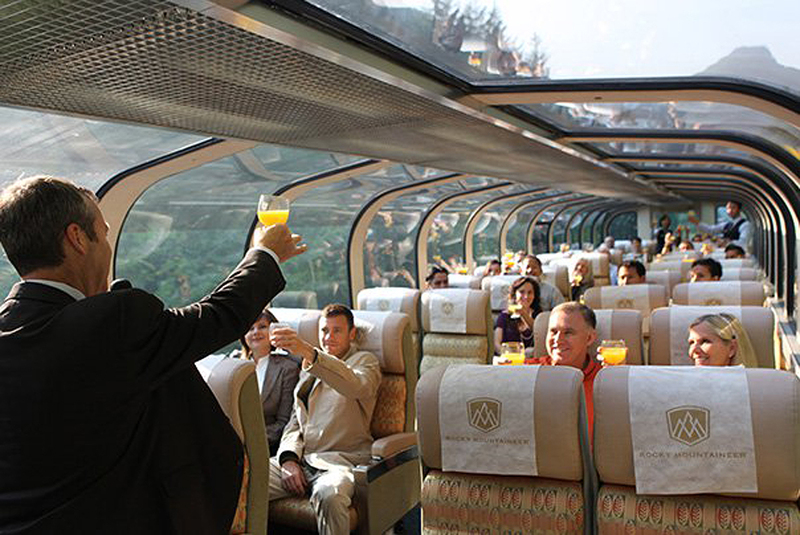 In 2015, Stadler received an order for the design, development and production of ten custom-built GoldLeaf railcars to complete the Rocky Mountaineer fleet. The first car is completing track testing in Canada. 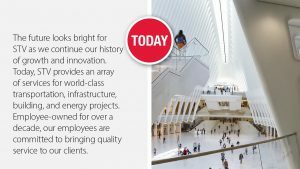 Transportation of the 89-foot-long, 10-foot-high railcar “is one of the major milestones of the project,” Stadler said. “The journey takes the impressive dome car from Berlin through inland water routes to the North Sea, where it is shipped onto an ocean vessel and through the Panama Canal. 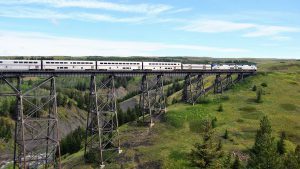 After arrival at the U.S. West Coast, the railcar will continue its journey on rails to the Rocky Mountaineer site in Kamloops. The GoldLeaf dome cars are scheduled for regular service with the beginning of the next season. 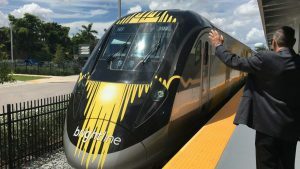 Each of the ten cars has the capacity to host up to 72 passengers on its upper deck, which includes electronically adjustable and rotatable seats equipped with a leg rest and a heating system. Large dimmable panoramic windows provide an unobstructed view and can be adjusted in tint according to outside ambient lighting conditions. The lower deck includes a fully equipped kitchen area in which on-board chefs prepare à la carte meals that can be ordered in the restaurant area. Two flights of stairs connect the upper and lower decks, complemented by a lift for customers with impaired mobility.